4.9 24 based on 24 ratings. Painting & Tiling Home Improvement is a company that was found on the belief that all Chicago homeowners deserve beautiful and long-lasting home remodeling solutions. With this idea in mind, our goal has always been to provide our clients with top-notch tile installation and painting services. Tiling is a job that requires a high level of skills and great attention to detail and you want to hire a company that is competent, prompt and experienced in tile installation. At Painting & Tiling, you can be sure that our tile contractors are fully qualified to handle every aspect of your tiling requirements. 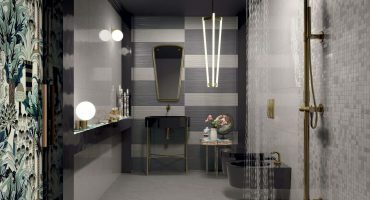 As a leading Chicago tile company, we use only the best, premium quality products and keep up with the latest technologies and interior design trends. We ensure that we have the expertise, experience and confidence to complete your home improvement project to the highest possible standard. Whether you want to repair broken tiles or replace old tiling in your kitchen or bathroom, we can help. No job is too big or too small for our team! New tile installations can breathe life into any room in your home, whether it’s your kitchen, bathroom, or anywhere else! If you’re looking to upgrade your bathroom with high-quality tile, choose from our extensive selection of top tiling brands and styles. Whether you’re looking to add some color to your bathroom or need something plain, we’ve got you covered. Your kitchen should be the centerpiece of your home, so keep it looking its best with a brand new tile installation. Our kitchen tile is specifically designed for maximum durability without sacrificing any attractiveness, so we know you’ll love our work. 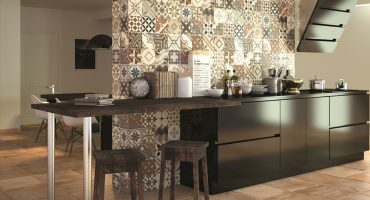 Tile is ideal for floors in just about any room of your home. It’s durable, resistant to scratches and heat, and requires very little maintenance. Upgrade your home with our inexpensive yet elegant tile solutions. Our Chicago tile contractors have plenty of professional experience with participating in different projects of varying scope and complexity. What’s more, they are passionate about their work, so excellent result is a given. Workmanship is but a half of successful tile installation in Chicago. The other half is our choice of highest quality tiles and paints, so your home will look great for the years to come. Getting value for the money is important for any homeowner. That’s why all of our painting and tile installation projects are always tailored to suit your needs and budget available. We are there to help you, providing professional advice on the choice of the most suitable products and accommodating your busy timetable while scheduling tile installation in Chicago. Ceramic tiles are one of the most popular tiles and are highly recommended for all interior walls and floors. They can be arranged in many patterns as part of wall designs. Porcelain is a resistant material, which is why our Chicago tile installers recommend porcelain tiles for outdoor floors and those with high levels of traffic. Glass tiles are versatile and can be used almost anywhere. As an expert Chicago tile company, we recommend glass tiles for kitchen backsplashes, accents on shower walls and wainscotting. For their tile installation Chicago homeowners can choose travertine tiles, which are perfect for outdoor use, and are very popular thanks to their elegant and sophisticated look. As your Chicago tile installers we recommend slate tiles for flooring solutions – they’re durable, are naturally slip-resistant and come in many sized, colors and textures. 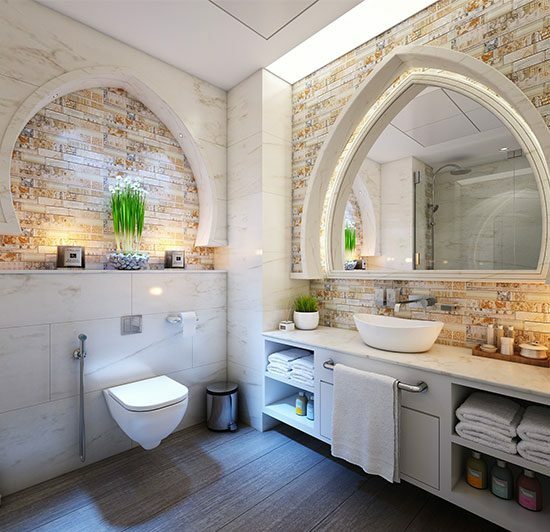 Stunning marble and stone tiles will give your interiors a touch of elegance and sophistication. You can find them in many different shades and patterns. During our initial visit, we will discuss what you want to see on your new tile project and determine your budget. We will then review your options and provide you with a personalized price estimate so you have a good idea of what to expect based on your desires and tastes. Whether you want a new floor tile, kitchen backsplash, shower tiles, or any other tiling project you had in mind, once we have a general idea of your needs, we will take accurate measurements for a precise quote. At this stage, we will review any kind of specialized pattern or design you wish to see. Before we begin working on your new tile project, we will review the plan we create for you based on our previous discussions. You will have the opportunity to see and change anything you don’t like in terms of color, tile size, design, or even the material. The final decision is always yours. Because we already took precise measurements and we had the tile choice and patterns picked out from previous discussions, we are able to proceed with the tiling without delay. Our professional tiling contractors will work quickly and efficiently from this point to complete the project, giving you the beautiful new, professionally installed tiles you requested. I’ve never thought that wall painting would work in bathroom. Guys proved me wrong :). With little money and effort (and ceramic paint), it looks great and I’m sure it’ll stay that way. I love new stone tiles in my living room. Very thorough job and results worth every praise. I would give top marks for the quality of work. They laid tiles in my bathroom. Installation went very smoothly but I’m even more impressed with their customer service. They advised me on pretty much everything and showed plenty of samples. Painting and Tile is one of the leading tile contractors in Chicago. Thanks to the many years' experience, we deliver highest qualitty services tile installation at great prices.